Raptors have invaded the Montezuma Wetlands Complex and now is a great time to see them! 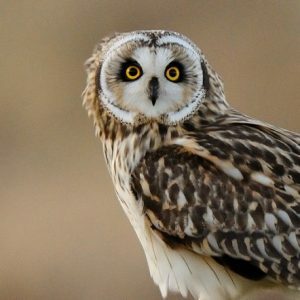 On Friday February 24th, Hop in the Montezuma Audubon Center van for an excursion to Montezuma’s premier birding locations to encounter Short-eared Owls, Bald Eagles, Northern Harriers, Rough-legged Hawks and more! Binoculars and field guides will be provided. Fee: $8/child, $15/adult. Space is limited and registration is required. Call 315-365-3588 or email montezuma@audubon.org.